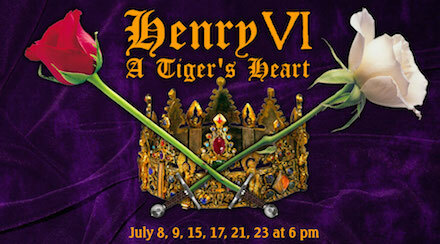 ISC has been performing outdoor Shakespeare at Cornell Plantations each summer for thirteen years, but this summer the performances will have a new home. The 2016 Shakespeare performances will be presented at Allan H. Treman State Marine Park, on Route 89 by the Hangar Theatre. The 2016 performances will be held in a beautiful meadow at the north end of the Marine Park that is bounded on one side by the Cayuga Inlet and encircled on all other sides by a grove of tall trees. 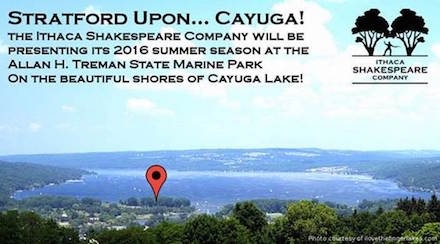 "We are delighted that Ithaca Shakespeare will present its summer program in our Park," said Fred Bonn, Director of New York State Parks for the Finger Lakes Region. "They have a long tradition of excellent performances, and we are very pleased to offer theatre of such fine quality to our visitors at the Park." Jim Brophy, Park Manager, added: "I'm a Shakespeare fan, and I could not be more pleased that the Park will be hosting these shows." "We're grateful to have this new home," said Michael Pinnisi, President of the Ithaca Shakespeare Board of Directors. "The Park's meadow on the Inlet is an exceptional performance space with great natural beauty, clear lines of sight, and protection from the sun for our audiences, and there's no traffic noise. There is ample parking in paved lots, and the Cayuga Waterfront Trail passes nearby. And, we'll have the space to offer something new — an area for pre-show entertainment and refreshments. We're working out arrangements with some very talented people, and we'll share more information about this as it develops." 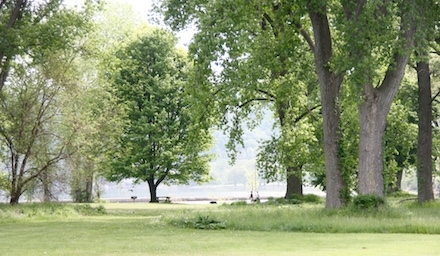 Ithaca Shakespeare began performing outdoor Shakespeare at Cornell Plantations in 2003. The first performances were done on a very small scale, but the program has grown steadily since then and is now the largest Shakespeare festival in Central New York, with a total attendance of approximately 4,000 per year. "We have many fond memories of our time at Cornell Plantations, and we're grateful to them for hosting the performances for so many years," said Stephen Ponton, ISC's Artistic Director. "But this move is a necessary step as we continue to expand the scope of our program." "As the Bard wrote, 'parting is such sweet sorrow,' " said Christopher Dunn, the E. N. Wilds Director of Cornell Plantations. "It has been our honor to watch the ISC grow from the Summer House in the botanic garden, to Jackson Grove in the arboretum, and now to the shores of Cayuga Lake. Our partnership has been a mutually rewarding one. We wish them nothing but great success in the years to come." 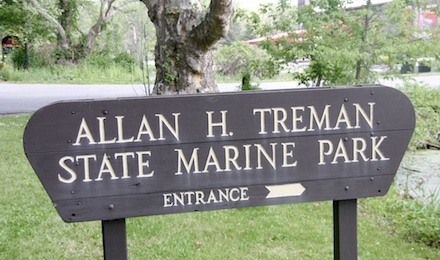 Allan H. Treman State Marine Park is on NYS Route 89, just north of Cass Park. Entrances for the Marine Park are through the access road off of Taughannock Boulevard immediately next to the Hangar Theatre, and via the Cass Park Access Road next to the ice rink. Other than the location, everything else about the performances will be the same as always. So come help us celebrate our new summer home in July! "The very best summer thing." An exploration of love in all its forms, the crowning glory of Shakespeare's romantic comedies is a richly layered and endlessly entertaining play. 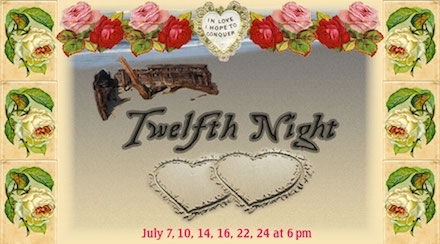 Hilariously funny and deeply romantic, Twelfth Night features: a shipwreck, a clever heroine in disguise, twins that no one can tell apart, multiple cases of mistaken identity, a lovesick count, a lovesick countess, a pair of drunken pranksters, a duel (sort of), a pair of yellow stockings, a pirate, a fool, a madman, a bunch of lovers, a bunch of songs, one of the greatest practical jokes in all of literature, and a whole lot of smiling! When Henry V dies and leaves his young son on the throne, the divisions in the kingdom break open and England erupts into civil war. The Wars of the Roses pit the house of Lancaster against the house of York — one led by one of Shakespeare's most formidable women, and the other driven by the ominous rise of the future Richard III. Drawing on material from all three parts of Shakespeare's Henry VI, this sweeping epic features the first appearance of Richard III, two of Shakespeare's strongest women in Queen Margaret and Joan of Arc, the scene that gave birth to the phrase "the Wars of the Roses," a popular rebellion with the slogan "Let's kill all the lawyers! ", and some of the most thrilling and intense conflicts that Shakespeare ever created. The game of thrones heats up to boiling point in this show, so put it on your calendars now!